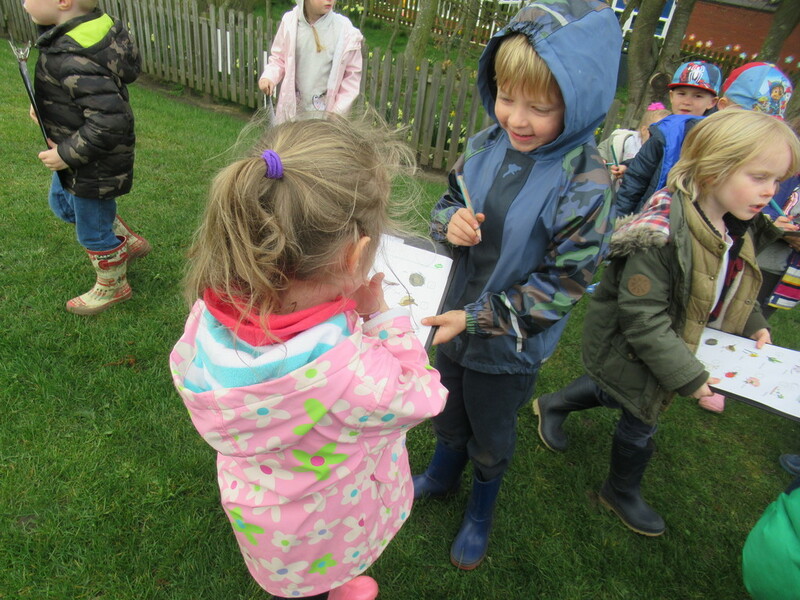 We have spent time in class talking about the months of the year and the four seasons today. We talked about our favourite seasons; the weather in each season and the clothes we should wear. 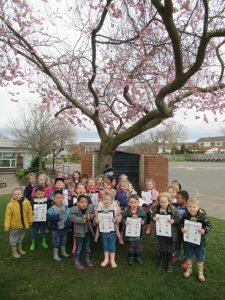 Lots of the children knew that Spring has just begun. 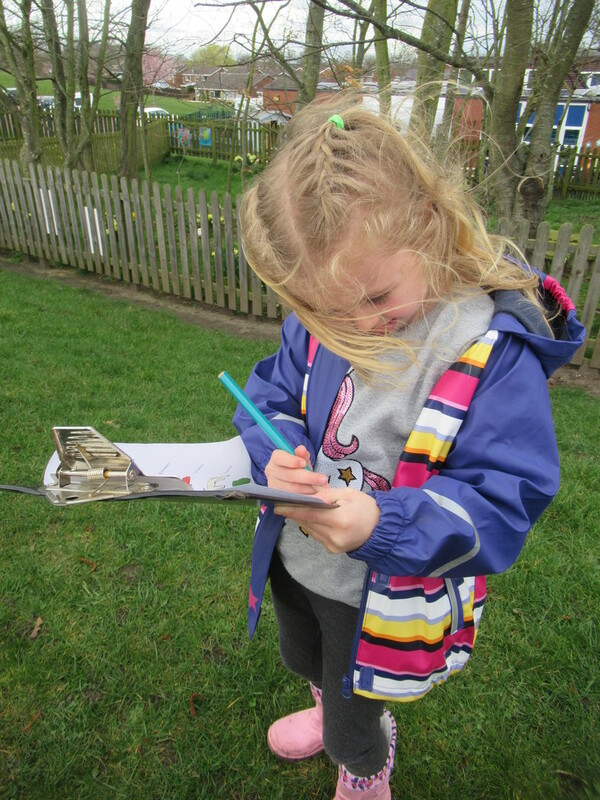 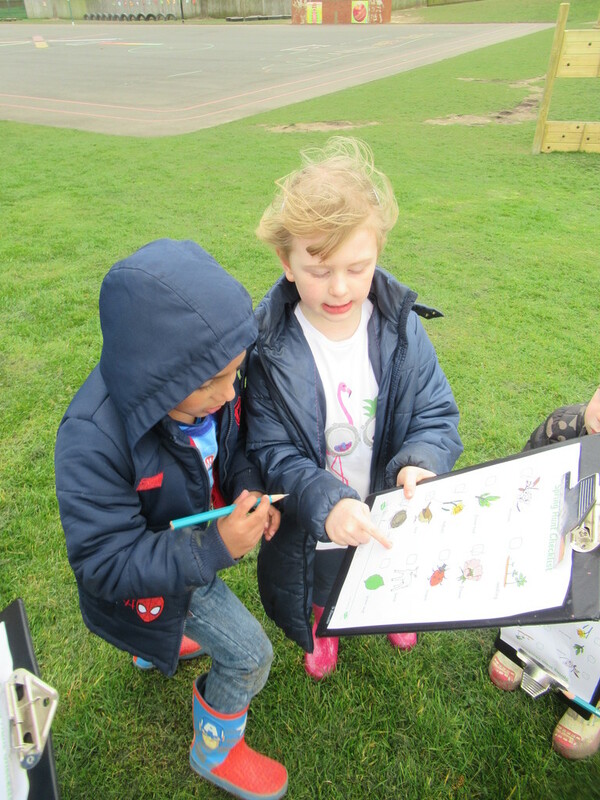 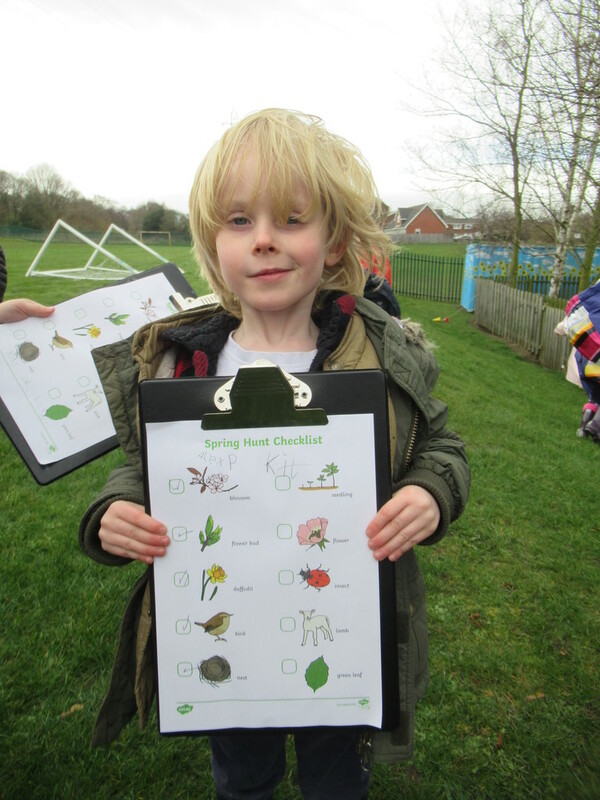 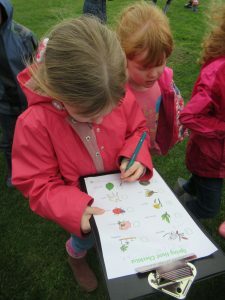 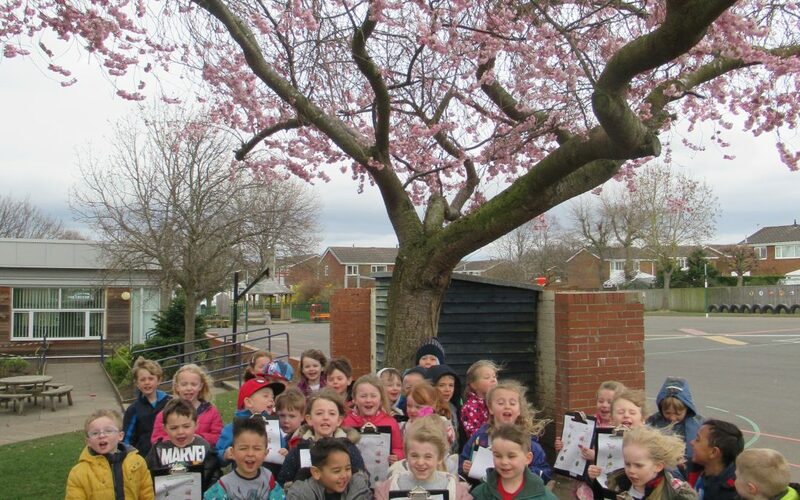 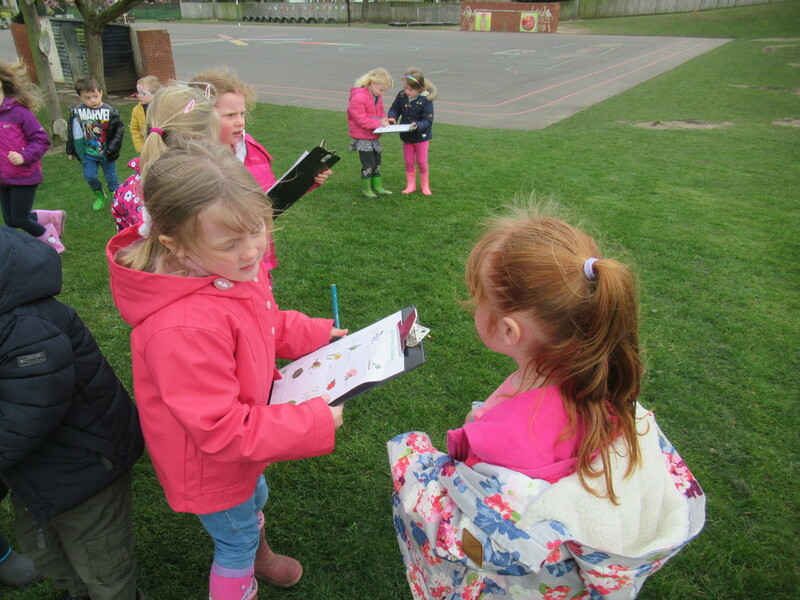 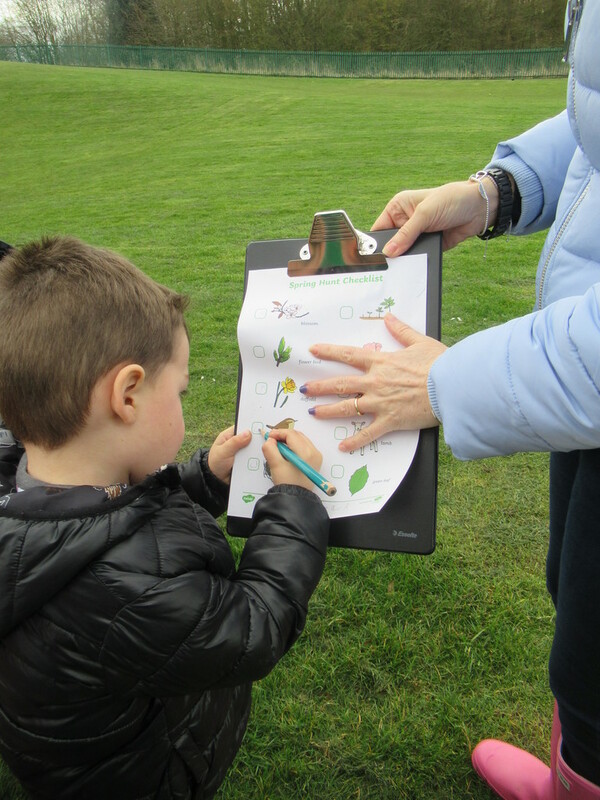 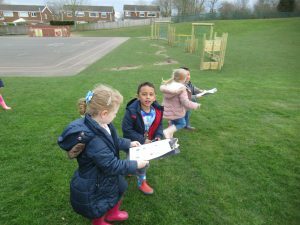 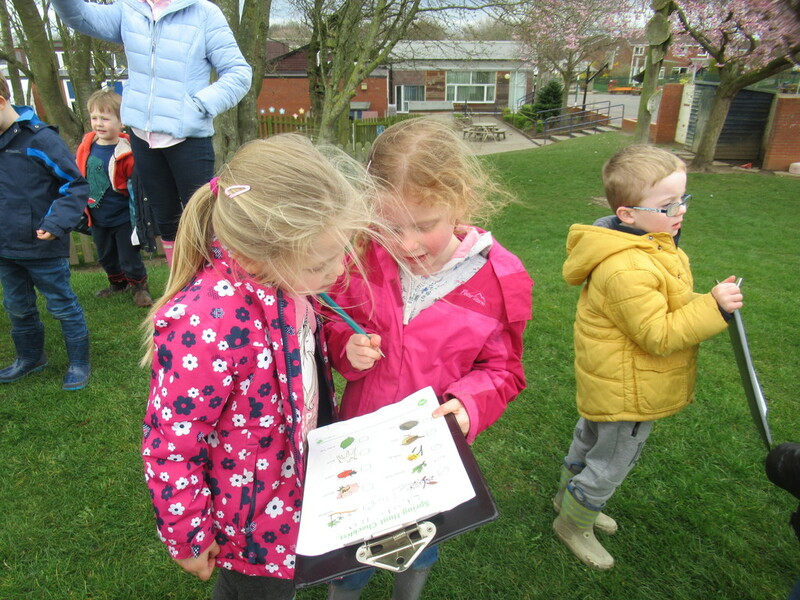 Because there was quite a chilly windy blowing this afternoon, we wrapped up warm and set off with our clipboards and Signs of Spring checklists to see which signs can be seen at Clover Hill. We worked with our partners to tick off each sign that we saw: daffodils, blossom, buds to name a few.